Prescott & Son Roofing Contractors - Roofer based in Handforth, Cheshire. 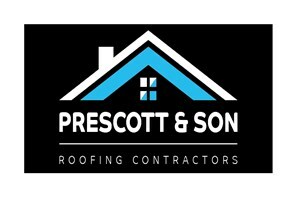 Prescott and Son roofing contractors is a family run business based in Wilmslow covering Alderly Edge, Knutsford, Altrincham, Prestbury, Macclesfield, Stockport and Manchester. We have over 20 years experience. We pride our self on going the extra mile for our customers. Covering all aspects of roofing and chimney work offering competitive roofing services to both residential and commercial customers that include everything from flat GRP roofs to pitched new roofs with traditional tiles and slate, through to associated services including chimney and brickwork, flashing, fascia, soffits and guttering. We are reliable, honest, highly skilled team of roofers which enables us to offer you one of the most effective services. Prescott & son roofing provides the complete new roof package and can handle the whole project from start to finish.